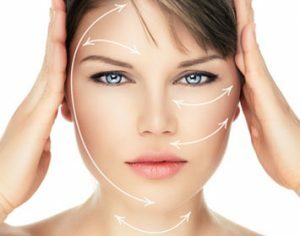 HSA Dermal Clinic is proud to offer a comprehensive range of treatments and holistic skincare procedures for a comprehensive range of face conditions and neck conditions. Since going into business, we’ve helped thousands of clients across London and the surrounding region boost their confidence and improve the quality of life through 100% non-surgical cosmetic dermatology. We have extensive experience and expertise in all aspects of face conditions and neck conditions, affecting both men and women of all ages. From sagging skin to fine lines and wrinkles to pigmentation issues to nose bumps and deformities, we can help quickly and effectively address the problems having an impact on your life. The way we approach face conditions and neck conditions completely eliminates the requirement for invasive surgery. With no downtime and minimal risk of side effects, our treatments for common face conditions and neck conditions are uniquely accessible and affordable. Contact a member of the HSA Dermal Clinic team today for more information. HSA Dermal Clinic is proud to offer an entirely different approach to traditional face treatment and neck treatment options in London. Exclusively providing non-surgical alternatives to traditional cosmetic procedures, our cutting-edge face treatments and neck treatments in London utilise the most advanced technology to deliver unbeatable results. A complete range of face treatment and neck treatment options currently extends to Wrinkle relaxing injections, Botox Treatments, Dermal Fillers, Radiesse Treatment, Profhilo, Mesotherapy, Platelet Rich Plasma PRP, Skin Micro Needling, Chemical Peels, The Perfect Peel, Professional Skin Care, ZO Obagi Skin care, Alumier MD Treatments, Hyperpigmentation, Hyperhidrosis (Excessive Sweating), Drink formula Skinade and many more besides. Whether looking to deal with a persistent skin health issue or simply improve the beauty and radiance of your skin, you will not find a more capable or committed team of cosmetic dermatologists in London. For more information or to arrange an obligation-free consultation, reach out to a member of the HSA Dermal Clinic team today.